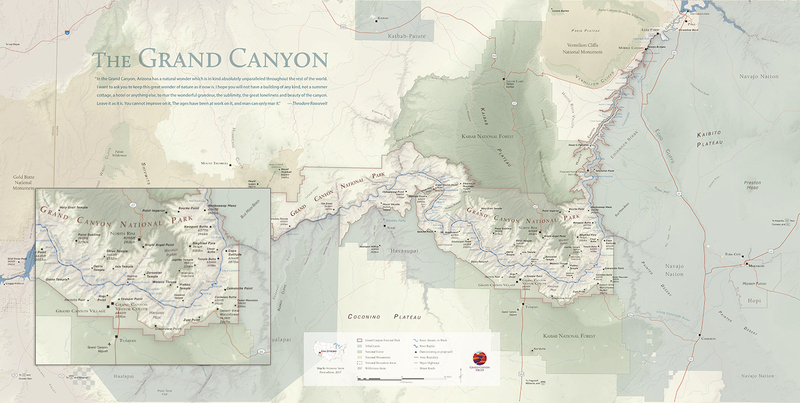 Make your donation a recurring one and invest in the Colorado Plateau for the long haul! Monthly contributions provide the Trust with an ongoing, reliable source of funding. You determine your recurring gift amount and provide payment details, and we draw from your account or charge your credit card each month. There is no expiration until you stop the program or your credit card expires. 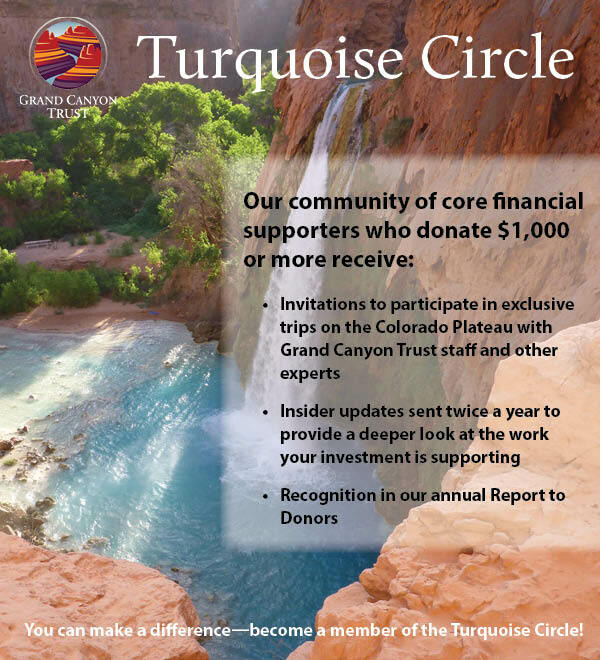 Receive a map of the Grand Canyon with monthly gifts of $45 or more, or become a Turquoise Circle member with monthly gifts of $85 or more. Make your first monthly gift today. 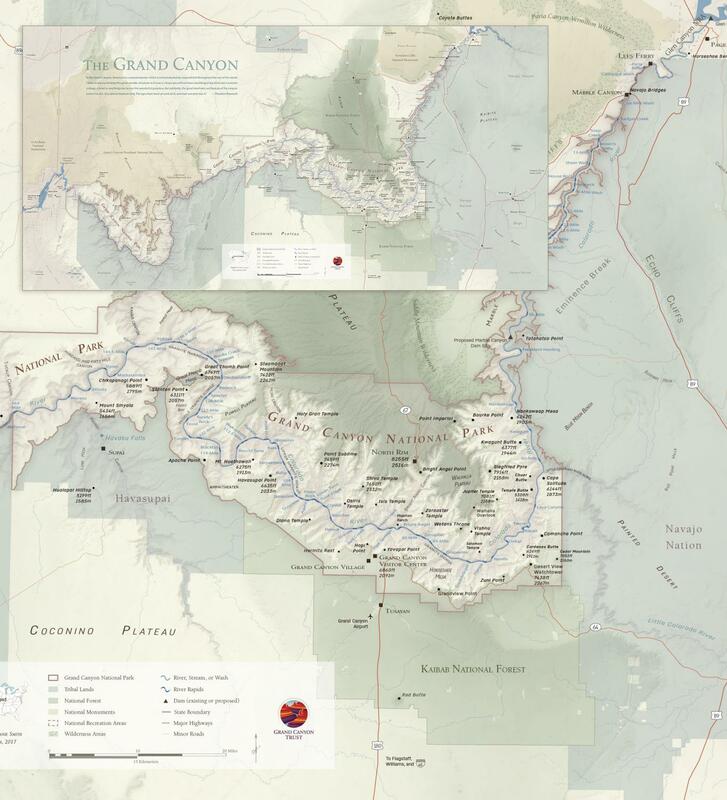 Sign up for monthly donations of $45 or more and receive this beautiful 36" by 18" limited edition Grand Canyon National Park map, shipped rolled and ready to frame.